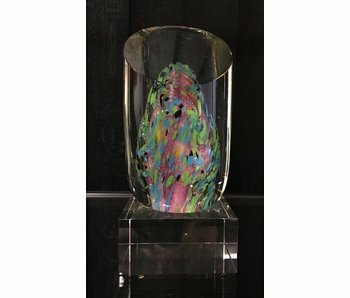 Abstract hand-made glass sculpture. Size: 9 x 20 cm . Packaged in a gift box.